My daughter wanted a summer bag and after looking at the local department stores and not wanting to spend an average of $65 for a purse, she turned to me and said, "Mom, can't you make me a bag?" I certainly can, but was waiting to be asked. 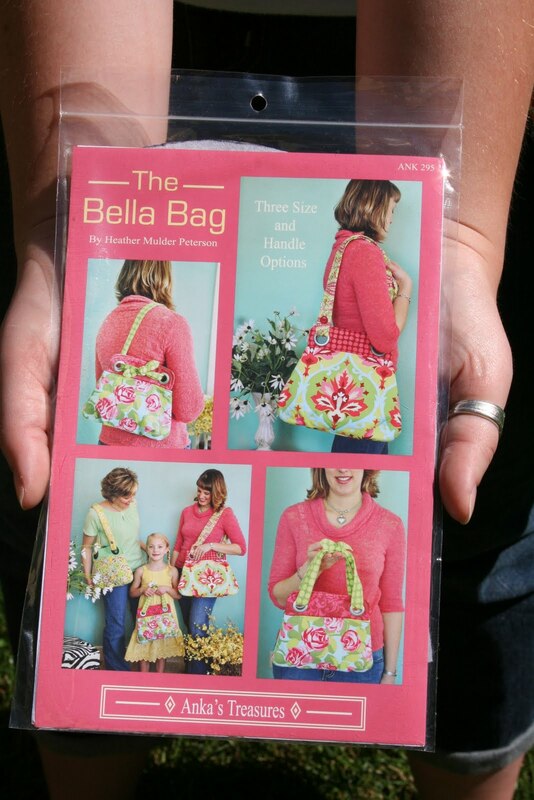 You know how sometimes our kids don't want things that look homemade when all their friends are sporting the new Vera bag. We set off to the fabric shop and found this pattern. She then took some time picking out fabric. I tried to stay out of it and let her choose what she liked. She also decided that she wanted the covered buttons to give it a more finished look and longer straps so she could wear it across her body. It was fun to make. I hope that she will develop a spark for sewing on her own, but for now I'm thrilled that she's thrilled with her new summer bag! You sound like such a great mom. I like that you waited for your daughter to come to you. The fabrics she chose are so pretty and stylish - kudos to both of you on a job well done! And who wouldn't be proud carrying that! You are a wise mother. Love the bag. I hope your daughter will enjoy using it. Sew cute! And I love the fabric ya'll chose! Your daughter did a great job choosing a pattern and fabric. Great bag. Love the design elements of the gromets and covered buttons. I know what you mean about waiting to be asked and then hopping right on it. I think I have a pattern that uses those grommets. Going to look for it. Your daughters bag is so cute. Love the buttons and the fabric she choose. Her new bag is just darling. You did a great job. You should sell these. That is such much cuter than a Vera bag! And how special that she wanted you to make her one instead. It definitely was sewn with love! That bag is adorable!!!! I love the design and the fabric she chose. What a great mom you are! 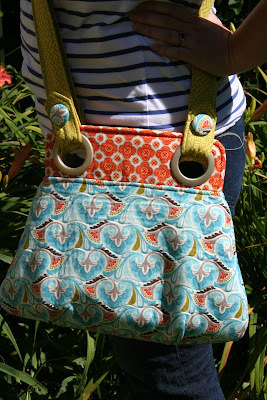 Love the purse and am drooling over the fabric! would you mind telling me what fabrics they are? oh and also what my vintage mending asked, would you recommend the pattern? What an absolutely gorgeous bag! Yes, you sure can sew a bag! 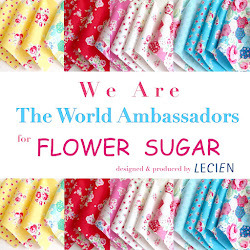 I love the fabrics and the covered buttons...you make a great team! I love love love this bag! Super cute and love the fabrics she chose and put together! You both did an awesome job. Thanks for your visit today....I'm enjoying being back!